Our support ticket system comes with a powerful automation engine, which does the work for you. Send out common replies, automatically prioritize, assign or move incoming tickets based on which client there are coming from, send followups, set up reminders for your team, etc. etc. Focus on what's really important, not the repetitive stuff! Our tool comes bundled with handy free apps for Android and iOS so your support team can answer tickets on the go even using a poor Internet connection. Search, assign, close, reply, attach files to tickets and get an instant notification when a new support request arrives. Alternatively you can use your mobile browser and simply log in to the web-app on whatever device you have. Using our powerful reports: find out how fast do you respond, who's your best helpdesk agent and who's your most nagging customer, how much time you spend on the support tickets each day. Or - configure your own custom reports with our custom report builder. And - have them sent to your mailbox every Monday. Online Support ticket system technology has revolutionized how we deal with customer service. These incredibly powerful, yet simple to use, programs have made it possible to offer every single person or organization that contacts us feel that they are receiving the very best service possible. It is now almost impossible to lose an email or misplace a contact detail. That's the kind of strategy that gets things done. 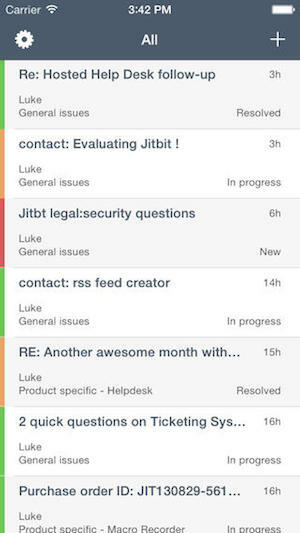 Jitbit Helpdesk comes with a handy "calendar" view that shows upcoming tickets' "due dates". 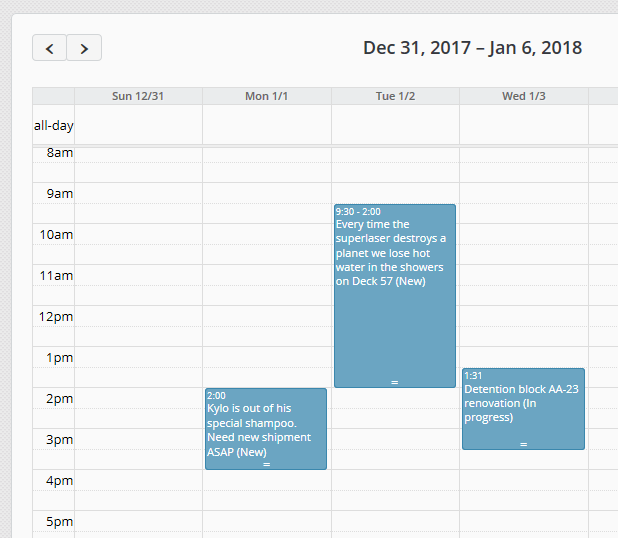 Administrators can easily track the support team's workload and drop-n-drop tickets on the calendar to adjust the schedule. A support ticket can have multiple "assignees"
A support rep needs some help from system administrator or a developer? No problem - you can assign the support ticket to multiple "technicians" (a unique Jitbit's feature). But the ticket will still have only one "owner" - main assignee - so you know who's responsible for the support case. You can use our own default free email service (provided with the hosted version), or connect your existing support mailbox in seconds (using POP, IMAP or Exchange) and the helpdesk app will turn incoming emails into support cases (or assign replies to existing requests). You can also map different mailboxes to different ticket-categories or even brand your emails differently depending on the category. The best part is that it still looks like a regular email conversation to your customer. Email is not the only option, Jitbit also includes a web-interface for your customers, so they can track & reply to their existing tickets, or send new ones. They can also browse the Knowledge Base (included with the product), search for answers and explore the automatically suggested solutions from the FAQ when submitting new tickets. Articles in the Knowledge Base can be marked "for technicians view only", this way they won't be shown to your customers, but your support agents will still see the solution. Further reading: help desk ticket system, support ticket software.